Who would have thunk that an old butter knife and some nuts and bolts could make such a cool office accessory? 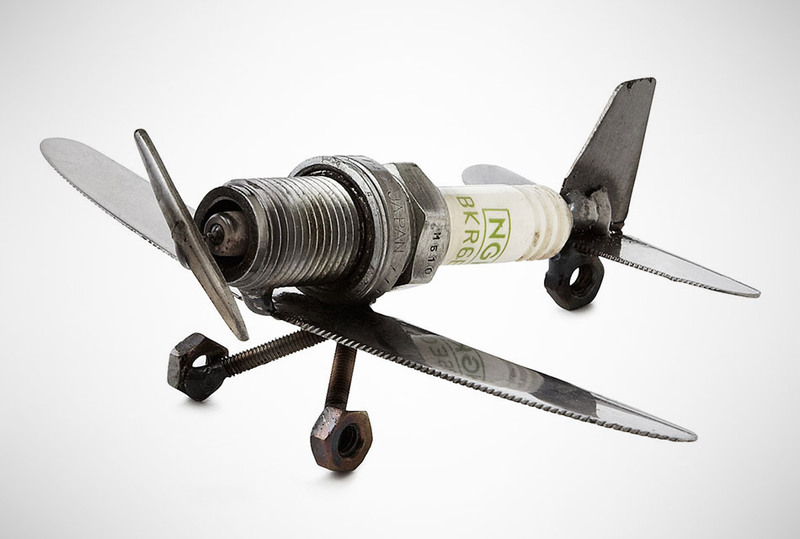 The Spark Plug Plane Paperweight is made mostly from goods you usually find kicking around the garage (apart from, probably, the spark plug). Get yours now before they all fly off the shelf.